Aero Express is an Authorized Distributor for the CT12A Test Set. Aero Express will buy, sell and trade the CT12A depending on your needs. 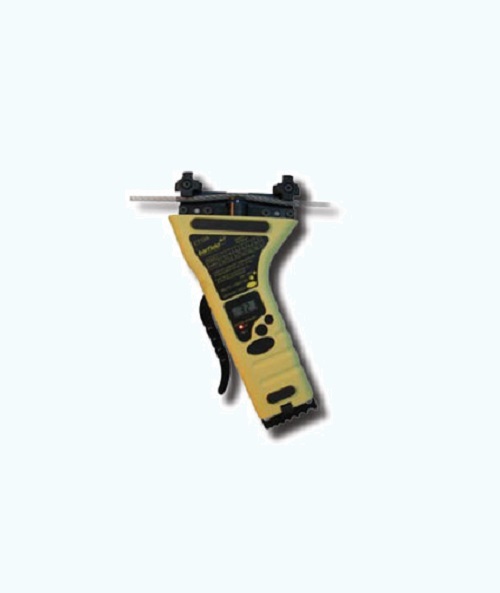 The Barfield CT12A Digital Cable Tensiometer was designed to meet the industry’s requirements for testing and measuring the tension of aircraft cables. The CT12A measures the existing tension in 1/16” to 1/4” cables. Two different unit types are available within the product line: multi-cable and single-cable. Multi-cable units can measure up to seven different cable sizes; whereas single-cable units are customized for one specific cable size. The CT12A displays the battery life, last measured cable size, ambient temperature and cable tension. Express Calibration is an Authorized ISO-17025 Calibration and Repair shop for the Barfield CT12A. Visit www.expresscal.com for full capabilities.